Members are JamReads strength, and there are a variety of membership options. Choose the level that best meets your needs and abilities. Every new and renewing member makes JamReads and its programs stronger and more effective. Thank you! Support JamReads as a student member ($35) or a professional member ($50) or more annually. Benefits include JamReads quarterly newsletter, events information, discount to annual members event, and volunteer opportunities. Donate now! A Partners membership is a great way to have a major annual impact with a modest donation of $100 or more. In addition to the benefits of general membership, Partners receive additional benefits for joining the program. JamReads is the perfect place to network with a diverse group of like-minded individuals who believe education is key to change. 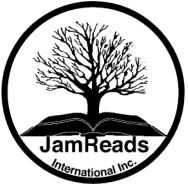 JamReads provides the opportunity for members of the Jamaican diaspora to connect and give back to home. Out of one we are many. Alone your contributions help a few, together we impact many. For more information about fundraisers and event sponsorship opportunities, please contact Arnita Gunn at arnita.gunn@gmail.com.